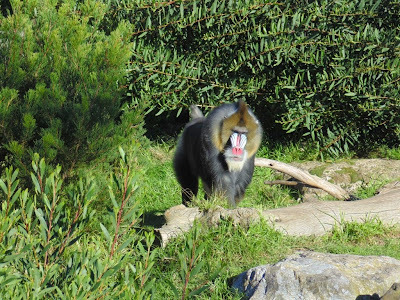 Its time to close out my San Francisco Zoo vacation series with the Lion and Mandrill. I’d like to say I really enjoyed the zoo and the animals. It was the first time I’ve seen many of them in person. Above is the male African Lion also posing for me. 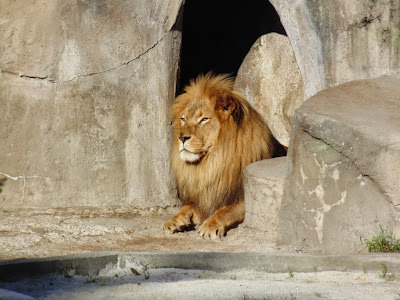 Some how I have good luck with lions here is my Oregon Zoo Lion photo. Male lions weigh 330-500 pounds and females weight 265-395 pounds. The male of course has a distinctive mane. Lions have 9 distinct vocalizations and its roar can be heard from five miles away. Finally we close with the Mandrill which is forest monkey. They are best known for their colorful faces. Mandrills spend most of their day on the ground but sleep in trees. This entry was posted on Tuesday, January 27th, 2015 at 12:54 am	and is filed under Vacation, Feature, CityPhoto, Nature, Hawaii Photo of the Day, Attractions. You can follow any responses to this entry through the RSS 2.0 feed. You can leave a response, or trackback from your own site.